Serpentine belt? Well, that sounds scary! Back in the day, auto mechanics had to replace multiple belts when they worked on a car. Today, one belt called a “serpentine belt” has replaced all these. If you don’t address a problem belt, you risk the breaking that belt and being stranded on the side of the road. Most serpentine belts will need replacing once every 5 years, depending on the number of miles you’ve driven. 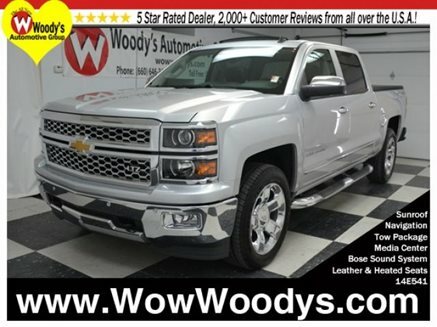 Woody’s Service Department is a full service shop that works on all makes and models. If your vehicle is need of a little attention, contact Mike Hibner for a fast, honest appraisal today! Carbon Foot? How is your vehicle? The carbon footprint of making a car is immensely complex. Ores have to be dug out of the ground and the metals extracted. These have to be turned into parts. Other components have to be brought together: rubber tires, plastic dashboards, paint, and so on. All of this involves transporting things around the world. The whole lot then has to be assembled, and every stage in the process requires energy. The companies that make cars have offices and other infrastructure with their own carbon footprints, which we need to somehow allocate proportionately to the cars that are made. With this in mind, unless you do very high mileage or have a real gas-guzzler, it generally makes sense to keep your old car for as long as it is reliable – and to look after it carefully to extend its life as long as possible. If you make a car last to 200,000 miles rather than 100,000, then the emissions for each mile the car does in its lifetime may drop by as much as 50%, as a result of getting more distance out of the initial manufacturing emissions. 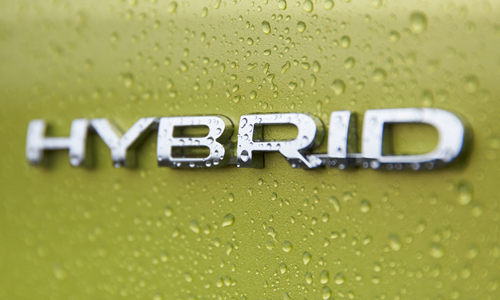 Find out your vehicles carbon footprint right here! My 2005 Chevrolet Trailblazer has made 49.45 metric tons of CO2.. If you are in need of a new car or want something more reliable that also gets amazing gas mileage, Woody’s Automotive Group can handle that! We have over 700 vehicles and each one is fantastic in its own right! Stop in and see us today! Some signs that you need a new cabin air filter include reduced air flow through your HVAC system (like when you crank up the fan and you get more noise than results) and persistant odors coming from the vents. Even if you don’t have these warnings, you should have the filter checked at least once a year, and you may be able to do that yourself. Many cabin air filters are located behind the glove box and are easily accessible by freeing the glove box from its fasteners (every car is different- check the owners manual). Others may be located under the dashboard and aren’t as easy to reach, or could be under the hood where fresh air enters the HVAC system. If a repair shop recommends you get a new cabin air filter, ask to see the current one. Depending on how long the filter has been in service, you might be shocked at what you see: leaves, twigs, bugs, soot and grime that covers the entire surface that comes in contact with incoming air. You’ll know it’s time for a new cabin air filter when you see it. If you need to have your filters checked and replaced or have any other service issues with your vehicle, contact Mike in the Woody’s Service Department and he’ll get you back on the road in no time! Should I have my cooling system serviced, or just keep an eye on it? Cooling system problems are a major source of automotive breakdowns. The coolant in your engine is a fluid that absorbs the heat from the engine and transports it to the outside world through your radiator. Servicing your cooling system involves draining and flushing the vehicles cooling system, and then refilling with new coolant. It’s a good idea to do this because it removes dirt and rust particles that can build up and clog the cooling system, causing problems in both summer and winter. Because the coolant operates in a very hot & hostile environment, it will break down over time. This breakdown can include the rust inhibitors which will leave the small cooling passages in your engine vulnerable to corrosion. If these tiny passages become clogged, you engine will overhead. Check your own automatic transmission fluid! When your vehicle is parked on a level surface, start the engine and let it warm up. Let the engine run throughout the process unless your vehicle’s owner’s manual says otherwise. Locate the automatic transmission fluid dipstick. It’s usually near the spot where the rear of the engine meets the tranmission or transaxle. Remove the dipstick and wipe any fluid from it with a clean rag. Be careful- the fluid on the dipstick might be hot. Re-insert and remove the dipstick again. Observe the markings on the end of the dipstick. It probably has two markings for full, one for cold and the other for warm. If the fluid level does not come up to the warm line, you’ll need to add some automatic transmission fluid. See your owners manual about the type of fluid that’s recommended for your vehicle. If you need to add fluid, use a long, narrow funnel to add the fluid to the same hole that the dipstick fits into. Add the fluid in small increments and keep rechecking the level until it reached the warm line. Be careful to avoid spilling the fluid onto the hot engine parts and don’t overfill the transmission. When the fluid is at the proper level, just re-insert the dipstick and you’re done! Your transmission should not lose any fluid during normal operation, so if the level is low, there’s a good chance that your vehicle has a leak somewhere. Consult a service professional at the Woody’s Automotive Group to avoid any possible damage to your transmission. Are you low on brake fluid? How do you know? How do you check to see if your car has enough brake fluid? You’re going to need to open and inspect your car’s Master Cylinder. When you step on the brakes, fluid moves from this assembly into the brake lines. When you release the brakes, the fluid moves from the lines back into the master cylinder. This may sound intimidating, but it’s really very simple, as long as you follow a couple guidelines to keep everything clean and free of contaminates. There are 2 kinds of fluid reservoirs that you may encounter when checking the brake fluid. The first type is a little plastic bottle on top of the master cylinder. To open this type, just open the cap. The other type is the metal type, with a lid thats held in place by a metal bar or retaining clamp across the top. Just use a flat screwdriver and pry the clamp off the top. It should just flip to the side of the master cylinder. Don’t let any dirt or junk fall into the chambers when take the lid off. If you see lots of dirt, grime, or dust around the master cylinder, wipe around the lid before you remove it. If you have the removable lid, there are 2 diaphragm cups that move up and down as the fluid moves into and out of the cylinder. If your fluid level is low, or if the cups are in the lower position, push them back up with a clean finger before you put the lid back on. The brake fluid should be up to the “full” line on the cylinder or within 1/2″ of the top of each chamber. If not, get the correct brake fluid for your vehicle and add some. After you’re done inspecting and adding any fluid, close the lid as quickly as possible to avoid any oxygen or water vapor from the air contaminating the fluid. Grab a flashlight and check under and around the master cylinder. If it’s been leaking, you’ll see evidence of it. Most master cylinders seal pretty well, so if you’re low on fluid you may have a leak somewhere else. It’s a good idea to check your master cylinder every couple months, especially if was low on fluid the last time you checked it. Does your vehicle need aligned? Uneven tire wear. More wear on the outside of some tires can be a prime indicator of an alignment problem. Is it worth the expense to align your vehicle? The most visible benefit of an alignment is less wear on your tires. The average alignment can run somewhere around $90, versus a set of tires that can easily cost $400 or more. An alignment is a very cost-effective way stretch your tire’s life (and your wallet’s). A properly aligned tire will also have decreased resistance on the road, upping your MPG’s as well. 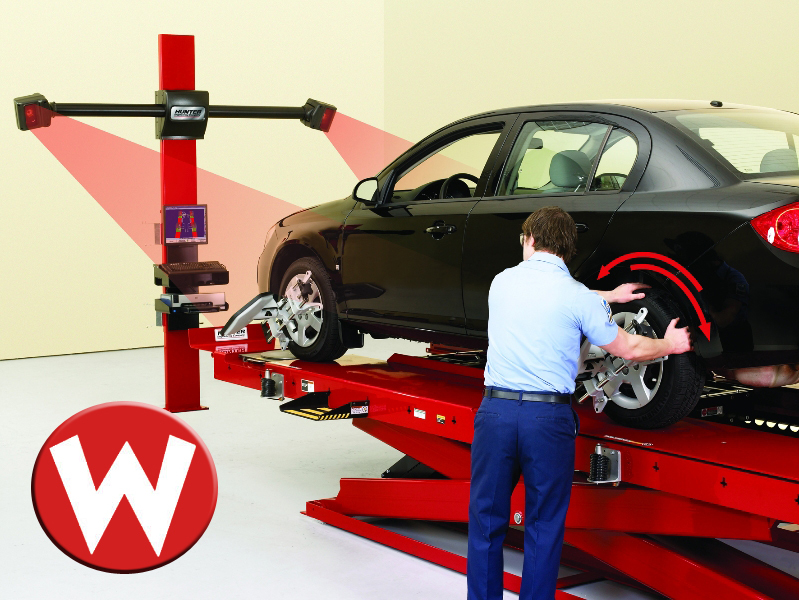 The Woody’s Automotive Group Service Department uses the high-tech Hunter Hawkeye Elite system to provide a fast, reliable alignment that’ll keep you out of the waiting room and back on the road. For all your automotive service needs, Woody’s services all makes and models- Contact Mike or Deryck today to schedule an appointment, or just ask a question! Woodys Weekly Update! Epidode 30! So everything from World Cup soccer to Shakira. From nose picking to fruit popsicles. This weekly update has it all! It really is hilarious and probably one of the funniest videos we have made to date! So stop what you are doing and check it out right now! The Safety of Back Up Cameras!! 1. The rear vision camera system has dynamic guide lines to allow the driver, when in reverse, to view objects directly behind the vehicle. 2. The safety alert driver seat warns the driver of potential traffic danger using directional vibration pulses from the seat cushion. 3. Lane departure warning alerts the driver when the truck drifts over a lane line when traveling at least 35 MPH. Wouldn’t it be nice if all vehicles came standard with these safety features? To see some of these features in person, just come in and any of the Woody’s Automotive Group sales team will gladly show you! How to tell if your fuel filter is dirty! 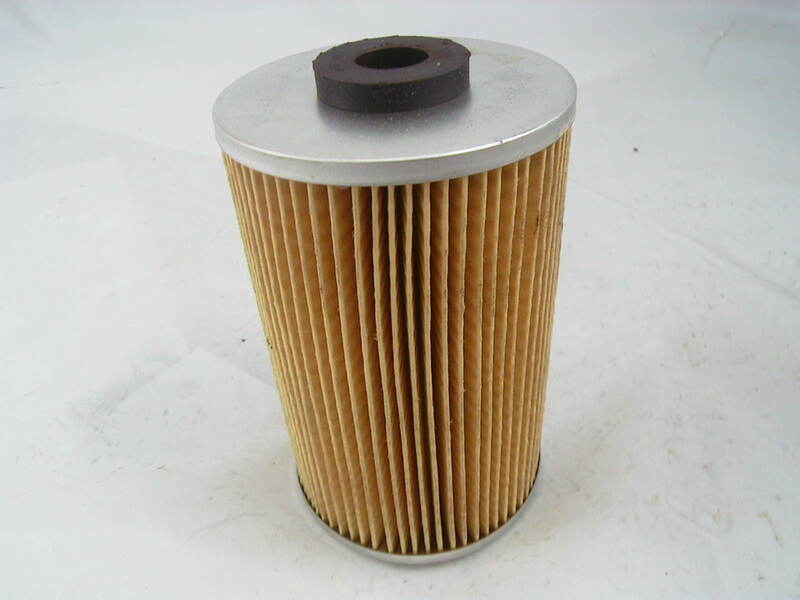 There are a few signs of a clogged fuel filter, here are few of the most common. Having difficulty starting the vehicle, vehicle not starting at all, frequent engine stalling, and erratic engine performance are all signs that your fuel filter is dirty. Thankfully for you they are easily replaced and not very costly. If you are experiencing issues with your vehicle and are unsure of whether or not it’s something as simple as the fuel filter, give the Woody’s Automotive Group Service Department a call 660-646-3455 ext. 28 and they will gladly answer any of your questions! As always, stay tuned for another Tech Tip next week!